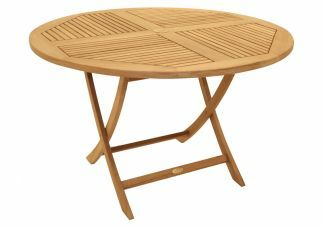 The Round Teak Sailor Table can easily be folded down for quick removal and storage. This 47" diameter folding teak table is 30" high and features an umbrella hole. There are currently 0 reviews for the 47" Round Folding Teak Sailor Table.